Have a question that you don’t see answered here? 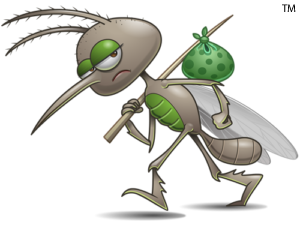 Give us a call at 770.704.4560 or send us an email and we will be happy to answer your question so you can live Mosquito-Free. How long will a Mosquito-Free barrier spray treatment last? Our barrier spray solution provides a Mosquito-Free Zone for the protection of your family and pets that is guaranteed for 21 days. What are the products that will be used in my yard, and are they safe for my family and pets? Our Mosquito-Free treatments utilize a 100% biodegradable solution composed of synthetic pyrethrin called pyrethroids. Synthetic Pyrethrins are derived from a naturally occurring compound found in the chrysanthemum flower. Pyrethroids are commonly used in numerous household products and pet shampoos. Mosquito-Free solutions are absolutely safe, but we recommend waiting 30 minutes until the solution has completely dried. This ensures that our solution fully adheres to foliage, thus maximizing its’ effectiveness and safety for your family and pets. Yes, Mosquito-Free offers All-Natural treatment options. Our All-natural solutions use Rosemary and Peppermint oil. Treatments must be applied every 14 days. Does Mosquito-Free offer one time treatments for outdoor events? Special event treatment is available for any outdoor event. Does Mosquito-Free service commercial accounts? Mosquito-Free barrier spray treatments are perfect solutions for outdoor restaurants, parks, daycares, wedding venues and more. How will rain affect the treatment? With adequate time to dry, which is approximately 30 minutes, rain will not affect the effectiveness of our product nor the quality of service. Will Mosquito-Free treatments get rid of any other pests? Mosquito-Free treatments help control over 100 other insects including fleas, ticks, ants, aphids, Gnats, flies, moths, beetles, mites, and spiders. You never know what they're carrying. Copyright 2019 Mosquito-Free, LLC. All Rights Reserved.